It's pouring. The wind is blowing down trees. Awful Ogre's rattlesnake wakes him. He tickles his piranha, scatters his rats, and disengages his leeches. Another wonderful day is about to begin. Jack Prelutsky and Paul O. Zelinsky have created a tour de force of epic proportions and infinite appeal. Paul O. Zelinsky is the illustrator of Anne Isaac's Dust Devil and creator of the now-classic interactive book called The Wheels on the Bus. His retelling of Rapunzel was awarded the 1998 Caldecott Medal. 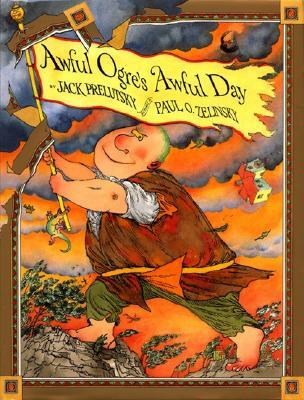 Rumpelstitlskin, Hansel and Gretel and Swamp Angel with different authors all garnered Paul a Caldecott Honor. Since 1991 Paul O. Zelinsky has lived in the same apartment with his wife Deborah in northern Brooklyn, New York.